Atlanta is quickly becoming one of the largest metropolitan cities in the United States. With so much growth and concrete it can be tough finding places to enjoy some playtime for your kids, especially if you live in town. Fortunately for the citizens of Atlanta, most of the design in and around the city incorporates and puts great value on maintaining greenspace. There are plenty of great parks all over the city, some are specifically designed for children, with amazing and unique playgrounds. Located behind the north pavilion of the iconic Centennial Olympic park, this playground was built in 1995 with the coming of the olympics to Atlanta. It is very unique in that it has large boulders and a natural rock formation appearance to the main play area, however it's all made out of rubber! The color of the rubber is a light tan and looks pretty realistic from afar, except it's completely safer than being real stone. The ground of the whole play area is rubberized as well and makes for way fewer skinned knees and elbows. On this rock formation the kids can climb and slide. There is a unique and odd “conveyor’ style of slide with multiple rollers that almost feels like your kid is coming down the shoot at a factory that produces happy children. There is also three plastic congas permanently installed and can be heard echoing throughout the city. This park also features a large platform connected by springs that has two benches on each side and makes for a bouncy seesaw type of effect. The triangular spinning seats set at a slight angle allows your kid to use kinetic motion to spin themselves into a dizzy frenzy. This park is great to hit in conjunction with maybe the Georgia Aquarium or the Coca-Cola Museum as it is located directly across the street. BOne of the more recently built parks, the Old Fourth Ward playground is very cartoonish and features new and whimsical swings and slides.The floors are rubberized in blue so there's no chance of losing anyone in here! The main attraction has got to be the splash pad that shoots water up in random intervals for kids to play in.This is always a hit on a steamy, humid 100 plus degree Atlanta summer day! Restrooms are also a plus at any playground and these are new and usually well taken care of. 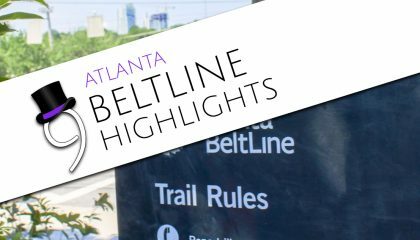 This park also connects to The Atlanta Beltline making is a great pitstop to a nice long walk around the every expansive cityscape. One of the smaller playgrounds on this list-the John C Howell park is located in the Virginia Highlands neighborhood. This playground is of the newer variety with rubberized flooring and modern styled things to climb on. This playground is good if you want a place to play for your kids that usually not very crowded. This park also features a sand based volleyball court and an open field for kicking soccer balls or throwing frisbees. This playground is perfectly located between Piedmont park and the Atlanta Beltline making this a great place to stop and play on any city excursion on foot or bike. The Virginia Highland square is very close as well-if you want to get some frozen yogurt afterwards! Don’t miss this little gem of a playground! Coan Park, located across from Sammy E. Coan elementary school, is another newly developed park and recreation center built on the eastside of Atlanta. This playground is not only attached to some great soccer fields, but also has its own recreation center open to the public. The playground is big and vibrant and also features rubberized flooring. Slides and swings are in good condition and fairly new. There is also a neat section to the playground that features exercise equipment along with instructions on how they work. With what almost looks like something to play on, is actually a fine tuned machine made for physical fitness. Following the recommended work out plan is guaranteed to create a serious sweat! There are covered picnic type areas located nearby if shade and snacks are necessary. Sometimes during the Summer they have small music fests and neighborhood barbecues that are fun for the whole family. The Lake Claire Park is nestled in a deep green lush neighborhood that has some of the most gorgeous houses between some of the oldest trees and untouched landscapes this area has to offer. Large hills and creeks have all been kept intact with all construction made to coexist with all of nature. The mixed collection of older large victorian type homes and newer brownstone type housing neighborhoods makes this one of the most sought after places to raise a family in Atlanta. The Lake Claire park playground is brand new and also like newer parks has rubberized flooring. The two story slides and jungle gym are super fun and vibrant. There is also a giant umbrella covering type area for mom to sit while the kids play. Available to use is also tennis courts and a giant field for usually inhabited by dogs to run and socialize as well. Little known secret to this place is that on the back side of the park down a path into the woods is an amazing tree swing that goes out pretty far over an embankment! See if you can find it! The Martian Luther King Jr. playground is located on the MLK historic national park. This park is a great place to take your kids to get in a little history of this amazing man coupled with a little playtime. The park itself is an eye opening experience that every Georgian should witness. 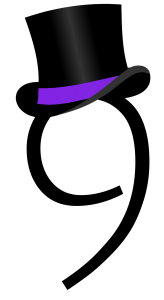 The park itself has free parking and is usually always open, so no worries about finding that in town. The playground is new and there is even new pieces being installed currently. Rubberized flooring and bright swing sets make for a great place for young kids to play. The park gives you a great view of the the MLK center and just a block over there is bridge that goes over Freedom Parkway that offers one of the best views of the city. Many people have taken all kinds of engagement photos to amazing sunrises over the city from the bridge located walking distance from this playground. Bessie Branham park is located in the Kirkwood neighborhood on the east side of downtown Atlanta. This park has a huge open field with baseball diamond balanced evenly against a forested that provides large amounts of shade. The trees are old and the span of shade covers far enough to house a swing set ,playground and -- get this -- and urban tree house! This park has a unique feature as it is a treehouse of sorts -- that has a ramp for handicapped access and isn't as high up as it is wide and massive.There is even a picnic table in it so you can definitely have lunch amongst the shady old oaks. This playground is relatively new and has an all rubber flooring and new stylized slides and swings. However -- the park has one thing that none other does in atlanta -- a permanent outdoor ping pong table!! All table tennis fans have got to love being able to play it outside in this amazing park. This is one of the hidden gems of Atlanta. This brand new park and splashpad is located at the dead end of newly cobblestoned roads of the newly renovated Turner Field neighborhood. This park is amazing! The sprayground is large and works great. There are bathrooms located very near for changing into bathing suits. The whole park has a trail around a large open center made for running while your kids play and you can still keep them in sight. There is a unique spot of rubberized little hills or lumps for kids to hop around to and from. This park has a great playground as well attached to the sprayground featuring brand new equipment. There is another well landscaped and manicured platform with benches as well as permanent plastic congos--a favorite to any kid--to the parents ,not so much. This park has absolutely amazing planning on how it was laid out and uses all the latest environmentally friendly resources available. Make sure you catch this spot before it becomes overcrowded and common knowledge! 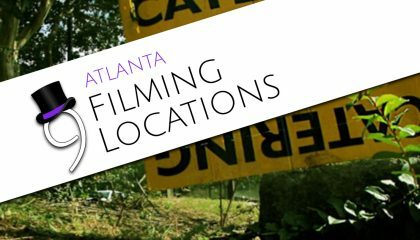 These are just a few of some amazing playgrounds that the city of Atlanta has to offer. Georgia has done a great job of keeping this big city as family friendly as possible. Playgrounds are essential to facilitating family fun and a feeling of community and neighborhood. We have such a wide range of types of parks and playgrounds to choose from. 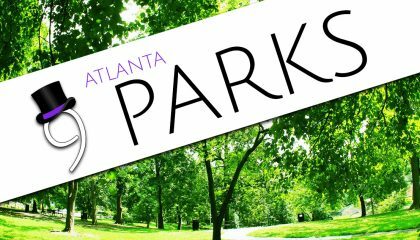 This diversity of parks are as diverse as the people of Atlanta itself. It’s important that in this current times, where our kids are overloaded with digital stimulation, that kids still take some time to just be outside, goof off and use your imagination all while getting some physical activity and fresh air! Make sure you take you and your family to these playgrounds here and i can guarantee a good time for all.